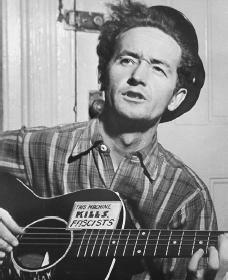 by getting Victor Records to produce a two album, twelve record set of Guthrie's "Dust Bowl Ballads." (A ballad is a song that tells a story.) Though they did not sell, the ballads were to have a lasting influence. Is there a Jody (Jodi) Guthrie??? male son or nephew?